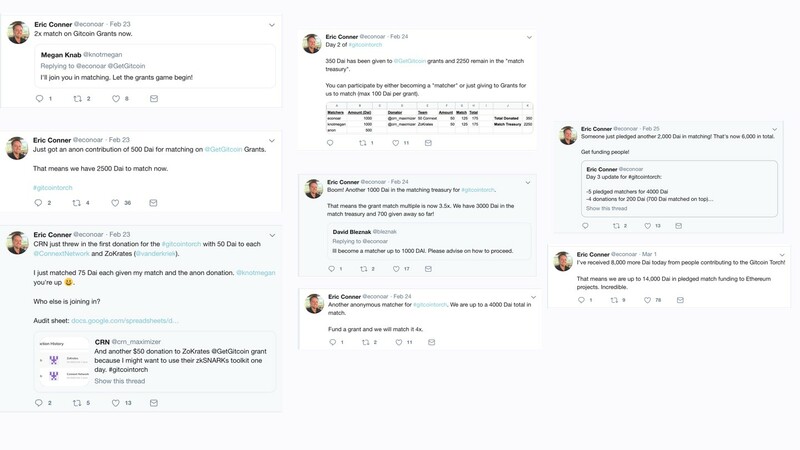 On February 23rd at 5:36PM, EthHub creator Eric Conner sent a tweet. Less than 3 weeks later, $14K had been brought together for Ethereum commons. Less than two weeks later, $14,000 has been committed by 6 donors (some anonymous, some publicly)! It’s been amazing watching it play out over Twitter as the matching contributions come in steadily. 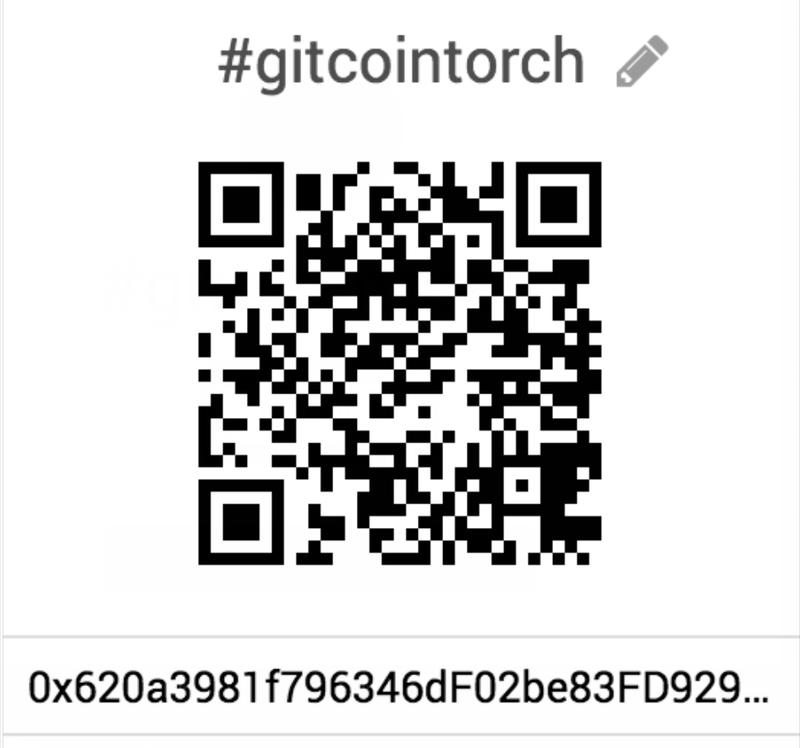 The Gitcoin Torch works simply: If you would like to contribute to the next round of Gitcoin’s CLR Matching (results of Round 1 here), make a donation via Eric Conner or via the QR code here. 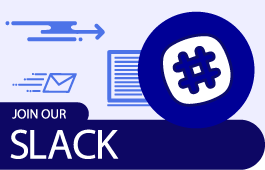 Each donation will be publicly displayed and will contribute towards a future round of CLR matching, a mechanism we describe in further detail here. You can make a contribution today! Here is the address if you prefer to QR codes: 0x620a3981f796346dF02be83FD929758a88078e3C. 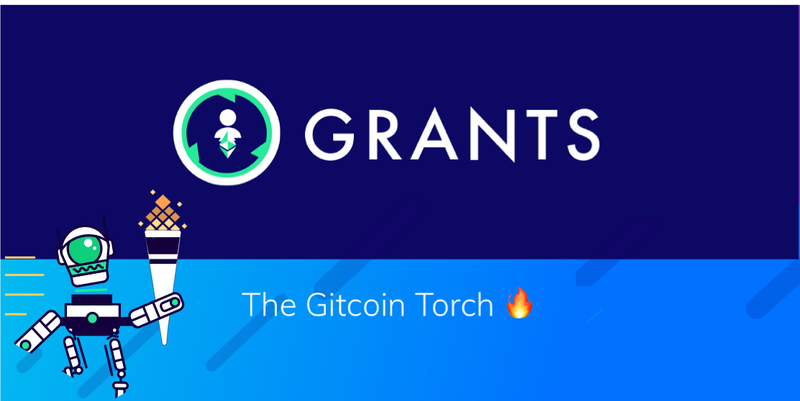 Anyone who pledges $1,000 or more will get this limited edition Gitcoin Torch Kudos! Check it out here. 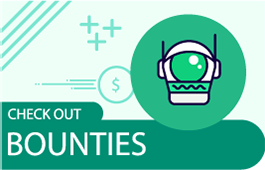 The Gitcoin team is grateful for a community that gathers together towards the support of our open source commons. We’re continuing to work towards solutions which systematically make it easier to fund open source (and thus, create a stronger, more functional internet). Until then, grassroots efforts like this show the power of a strong, interested, incentivized community. 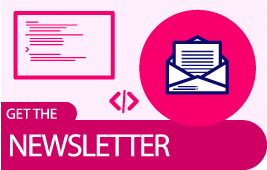 Let’s grow open source, together.